When a British film comes out and you see the famous BFI logo, you have a fair inkling of what you are in for. We Brits have a knack for gritty, no-nonsense films that can have a subject matter which can make them hard to watch. Two For Joy is along those lines although writer and director Tom Beard (“Rags (Short)”, “A Generation Of Vipers (Short)”) manages to make the movie more than watchable. There are no cutaways to trees, blowing in the wind, no arty shots that linger for eternity. Instead, Two For Joy cuts to the chase and dumps you right in the heart of the drama, and it’s all the better for it. 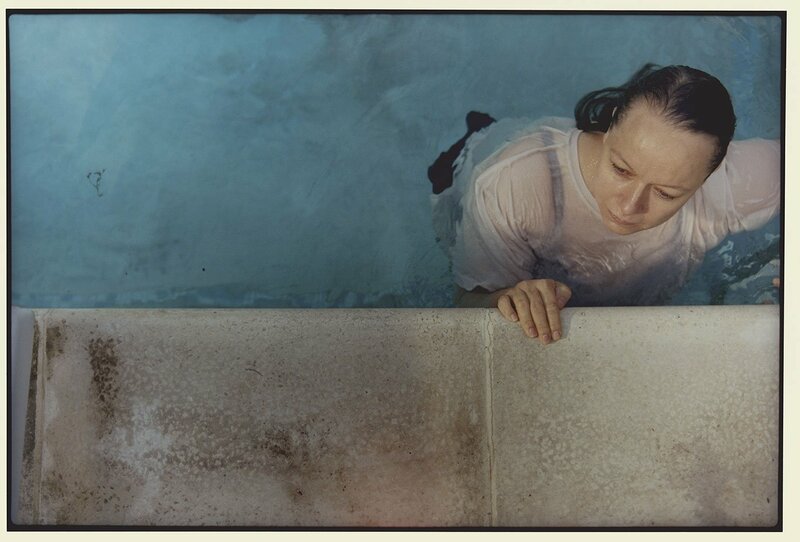 The film sees Aisha, Samantha Morton (“Fantastic Beasts And Where To Find Them“, “John Carter“) in scintillating form, struggling to cope with life after losing her husband. She’s on meds but refuses further help, confining herself to her bed or the sofa most days to get through them. Her daughter Vi, Emilia Jones (“Brimstone“, “High-Rise“) a wonderful young talent who shines once more, is trying her best to hold the family together but younger brother Troy, the amazingly named Badger Skelton (“Doctor Who (TV)”, “Web (Short)”), is a quiet tearaway who falls in with the wrong crowd. As Vi tries her best to get her mum going again, she suggests they head down to the caravan where they haven’t been for ages. Whilst there they meet Lias, Daniel Mays (“Rogue One“, “The Limehouse Golem“), the caretaker of the park and his sister Lillah, Billie Piper (“Penny Dreadful (TV)”, “Doctor Who (TV)”), and her daughter Miranda, Bella Ramsey (“Holmes & Watson“, “Game Of Thrones (TV)”). Lillah is running away from an abusive partner and Miranda, obviously affected by the things we can only imagine she’s been through and seen, is an angry and brattish little girl. Troy, who seems hell-bent on mixing with those he shouldn’t, gets befriended by Miranda and, whether he wants to or not, ends up involved in all her shenanigans. As these strangers begin to bond, more home truths come out of the woodwork as the wine flows and then, tragedy strikes. Will this force the family together, or drive them further apart? Two For Joy is an absolute delight of a film. It’s very well directed, Beard shunning the artsy shots, instead electing for keeping things gritty and real, this helps with the pacing of the film enormously. It’s not too slow you feel you want to switch off, but it’s not rip-roaringly quick that would feel out of place. The decision to place a border around the film at all times gives you a postcard feel, it’s a nice touch. The acting across the board is stunning; Morton is transformed as the struggling mother and Jones is a talent now and can only get better and better. Mays, Piper and Ramsey more than hold their own. Ramsey in particular really has you gritting your teeth as she strops from scene-to-scene. But we know her story, we can only imagine what someone so young has been through and what that must do to them. She performs her role wonderfully alongside the, almost silent, Skelton who also shines. Two For Joy is a wonderful story, full of astonishing performances, particularly when you consider there’s so little dialogue. If there’s one complaint it’s that, after the tragedy strikes, we drop half the cast. I can kind of understand it as they aren’t the focus, but it feels a little abrupt given we’ve spent some time getting to know them, becoming involved in their lives. Though this just shows how good a film Two For Joy is, that you want to know what happens to everyone involved. It truly is a joy.